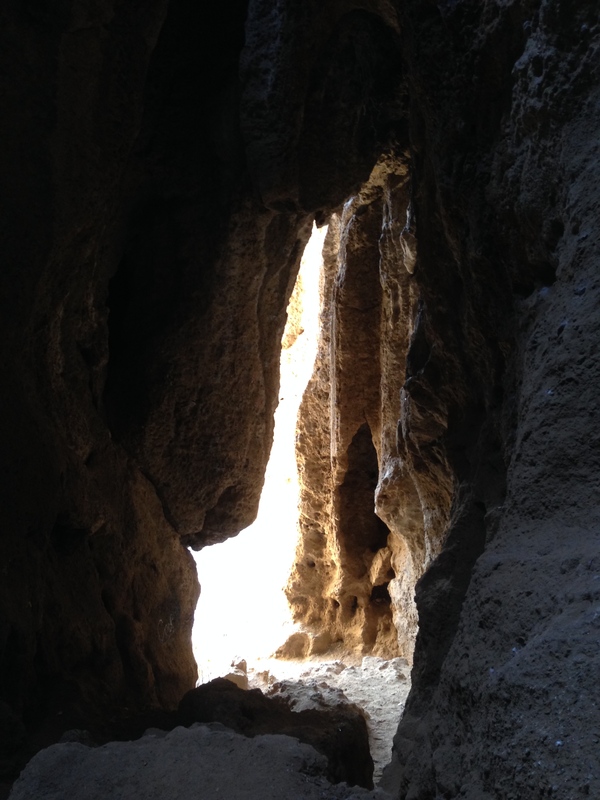 The legendary and historic Cave of Munits is only about 3/4 from my house, along the El Scorpion Canyon Park trail,and is therefore one of my favorite places to take visiting guests to explore. I took a little hike over there and climbed up into old cavey today to say hello. I can’t believe my luck to live next to such an amazing and relatively lightly visited landmark. 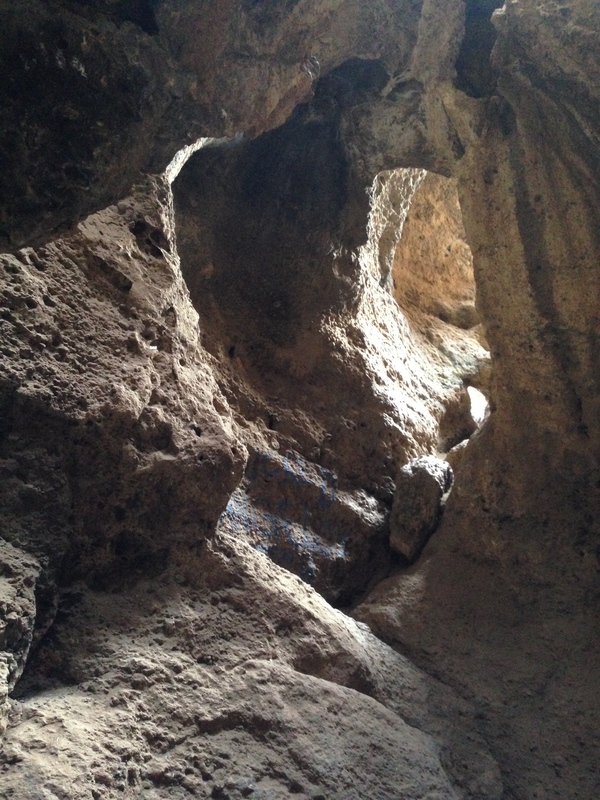 Chumash and Tongva natives have told stories of the Cave of Munits for thousands of years. 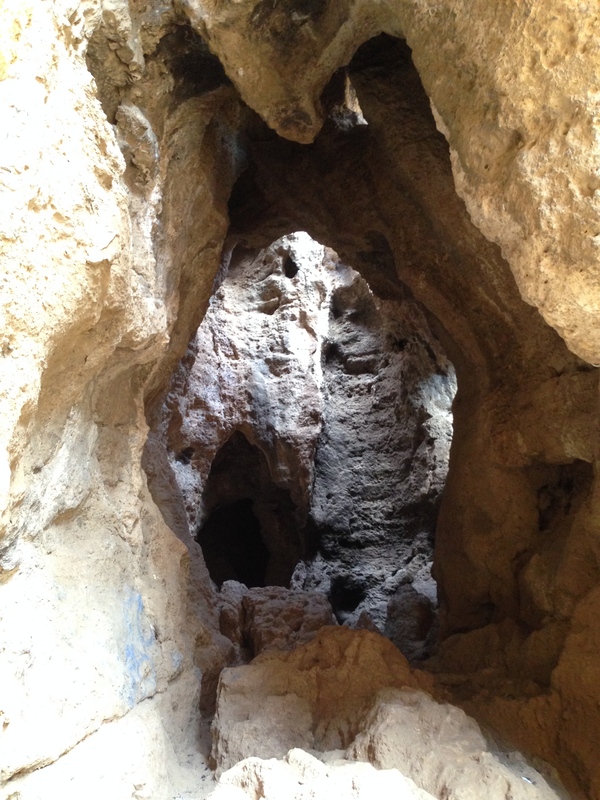 The legend goes that Munits was a shaman who lived and performed ceremonies in the cave. He ultimately met his end by execution after “murdering” the son of a powerful chief. It is difficult to find a more explicit story than that to accompany the history of this cave that was in use during prehistoric times. I will offer my opinion, however, that it was probably very easy for a shaman to kill a person in those days, without malice of intent, considering the powerful plant medicines that were used. I attended a wonderful intimate medicinal plant workshop given by James D. Adams, Jr., official protege of the current high medicine person of the Chumash people. He told us of a powerful native plant that was used to induce out-of-body experiences in young people who were coming of age. This out-of-body experience would last for several days and would give them time to visit the spirit world and discover their purpose in life. The shaman would tend the nearly dead youth throughout the ordeal, sustaining life, and sometimes reviving them. I imagine the shaman was walking a pretty thin line during those days when it came time to soul walk with the children of the chiefs. I wonder if it was during one of these coming of age ceremonies that he lost the soul of the chief’s son? If so, I don’t blame the poor old shaman. I believe he was doing his level best. The cave is extremely well kept considering the amount of graffiti one sees in most cave-like spaces so close to the city. It is also said that there used to be pictographs on the walls of the cave, but sadly they have been erased by careless visitors. My kids and I like to joke that Munits sounds more like the name of a Jewish podiatrist than a Chumash shaman. I like to tell my boys that I want to go see Docta Mew-nitz (pronounced with exaggerated New York accent) and tell him that my corns are killing me. It usually gets a laugh if I really ham it up. It is late and I don’t have many words left in me for the day. Perhaps I will expand on this post at a later time. For this evening, I will let the photos speak for themselves. Beauty sometimes just can’t be explained, it can only be appreciated once beheld. Great pics. The second one looks like a gigantic throat……with it’s second tongue on the top…….